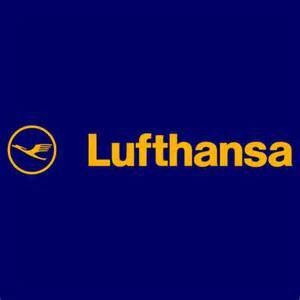 Lufthansa pilots started their second day of strikes on Tuesday that grounded cargo and long haul flights as well as to European and domestic routes, with thousands of travelers being stranded. The pilot strike of two days, the ninth for this year due to an extended dispute over the early retirement plan, has forced the flagship airline of Germany to cancel almost half its scheduled on Monday and Tuesday. The airline said that nearly 150,000 passengers have thus far been affected by the strike this week. Vereinigung Cockpit the pilots union that represents over 5,400 pilots at Lufthansa is battling to retain a retirement plan that allows pilots to retire at 55 and receive as much as 60% of their original pay prior to their regular payments from their pension starting at 65. Lufthansa said it was not accepting a demand that pilots who are new, as well as one already at the company should have the opportunity to retire when 55. The company says it expects the pilots to make their contribution to cost cutting at the airline as it battles stiffer competition from discount airlines easyJet and Ryanair along with carriers based in the Gulf. However, just lowering the wages does not help with regard to an airline like Ryanair, but a new offer we could talk about would help, said one of the board members at the airline. The strike, which is across all of Germany will last unit 5:59 p.m. on Tuesday, Flights on German wings have not been affected. Industrial action from this dispute had wiped over $200 million from the operating profit at Lufthansa, which has added to the pressure the airline is receiving from the sluggish global economy as well as its increased competition. The airline lowered its guidance for profit for 2015 last October for a second time. It is increasing operations that are low cost to compete better with their rivals. The airline’s supervisory boards will likely approve plans by Carsten Spohr the CEO on Wednesday for expansion of a low cost airline including a jump into the long-haul low cost arena. Automakers Sales Increased in November in the U.S.